Nestled in the Kent countryside, Rowhill Grange Hotel is an impressive 18th century manor house that radiates splendour on every level. With gorgeous grounds, stylish interiors, exquisite dining and an award-winning spa, Rowhill Grange affords everything you could want from a four star luxury hotel and spa experience.As a leading luxury four-star hotel in Kent, attention to detail is in everything we do. Each room is generously sized and individually designed with fabrics and materials chosen for their colours, contours and textures. Amenities and furnishings for each of the hotel’s 38 bedrooms have been hand-selected and when it comes to comfort, we’ve thought of it all. 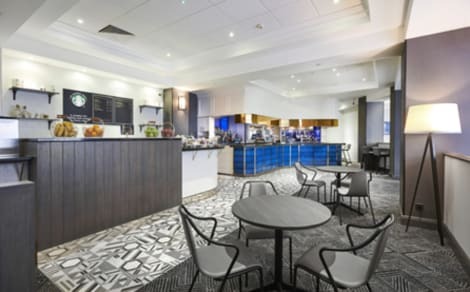 Stylish Dartford hotel near Bluewater Shopping CentreHoliday Inn® Express London - Dartford hotel sits just off the M25 motorway, a 30-minute drive from London City Airport (LCY).A short drive from the hotel, Dartford station has direct trains to central London, while not far away, Ebbsfleet International offers Eurostar services. Business guests can host meetings for up to 25 people in 3 naturally lit conference rooms, and there’s free on-site parking for delegates. The Canary Wharf financial area is a 30-minute drive away. Retail therapy beckons at the nearby Bluewater and Lakeside shopping centres, and you can practice your swing at Dartford Golf Club. Head into London to catch a live show at the O2 Arena, or discover Britain’s naval history at the National Maritime Museum.At this hotel you can enjoy:- Express Start™ Breakfast included in the room rate- Free WiFi throughout the hotel- Conveniently placed sockets for charging devicesBright guest rooms come with comfortable bedding and a choice of pillows to ensure a restful night’s sleep, and you can watch the latest news on large TVs with Freeview. All Day Dining is available from a tempting menu served in the open-plan lobby area, while the bar is the ideal place to relax over drinks with friends and colleagues. Bordering central London in the lush county of Kent, Dartford is a medieval market town with a rich history. Nestled in a valley along the River Darent, people have called this area their home since prehistoric times. Pilgrims trekked through Dartford on their way to Canterbury for centuries, and Dartford Manor was recorded in the Domesday Book in 1086. For history lovers, there's nothing better than taking a stroll through Dartford's streets to explore the area's hidden gems. St John's Jerusalem is one of the town's must-sees. Not only is it a beautiful setting, the building itself marks the remains of a 12th-century preceptory of the Knights Hospitallers. Closer to the centre of town, you can spend some time browsing the exhibits in the Dartford Borough Museum, catch a show at The Orchard Theatre, or even discover Dartford from the perspective of Rolling Stone's Mick Jagger and Keith Richards on The Satisfaction Tour. But if you'd rather spend your time in peaceful surroundings, make a trip to Darenth Country Park for a picnic or a leisurely stroll, or go out to the beautiful and unspoilt Darenth Woods for an afternoon trek. Unsurprisingly, as such a cosmopolitan town, Dartford isn't short on eateries. There's a few great, traditional pubs worth checking out, including The Malt Shovel. The Jafflong is a popular Indian restaurant, and Bella Venezia is a lovely café worth visiting. 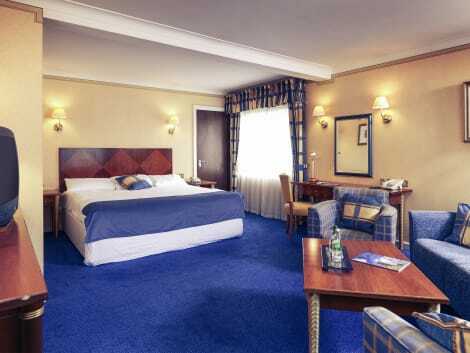 For budget-friendly Dartford hotels try the local Premier Inn, Holiday Inn or Travelodge. But if you'd like a little extra luxury, book into Rowhill Grange & Utopia Spa and make sure to try their afternoon tea, or try the Hilton Dartford Bridge. With so much to offer, remember to explore Dartford when you visit. It's much more than a convenient base for the capital.